HAVE YOU LOOKED IN YOUR CATS MOUTH LATELY? 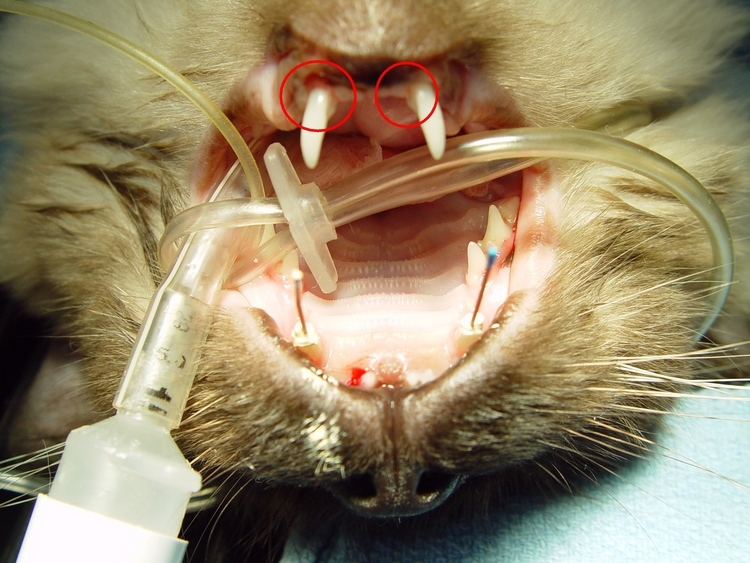 Cats are also referred and presented to our clinic for a variety of oral problems. Oral cancer, fractured teeth, stomatitis (FS), resorptive lesions (ORL) and mandibular trauma (Fx) are a few of the cases we diagnose and treat. 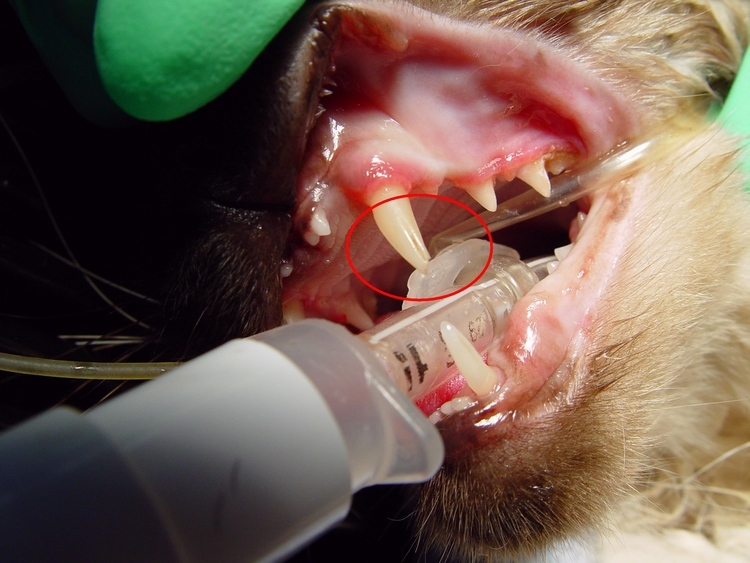 "Lucy Lui", a 9 year old Siamese cat, was referred for treatment of a complex orthodontic and traumatic oral condition. It was obvious that these oral problems were causing significant discomfort. 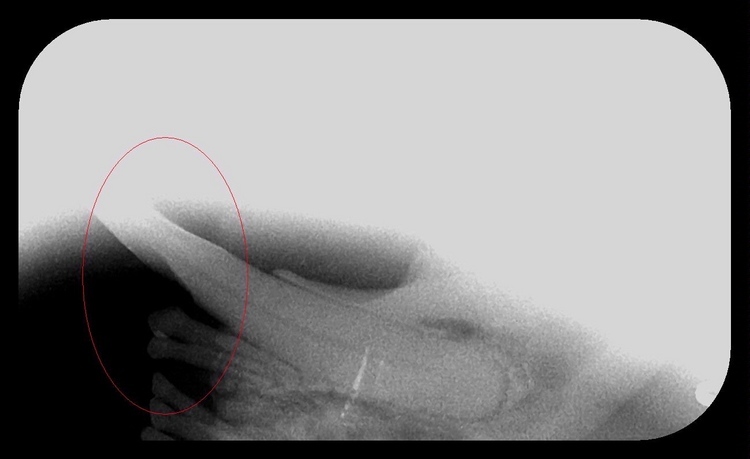 Upper canines (#104/204) crown fractures resulting in exposure of the pulp chamber. The pulp is composed of the blood supply, connective tissue and nerve. This exposure will not only cause pain and inflammation, but will be a source of bacterial contamination. 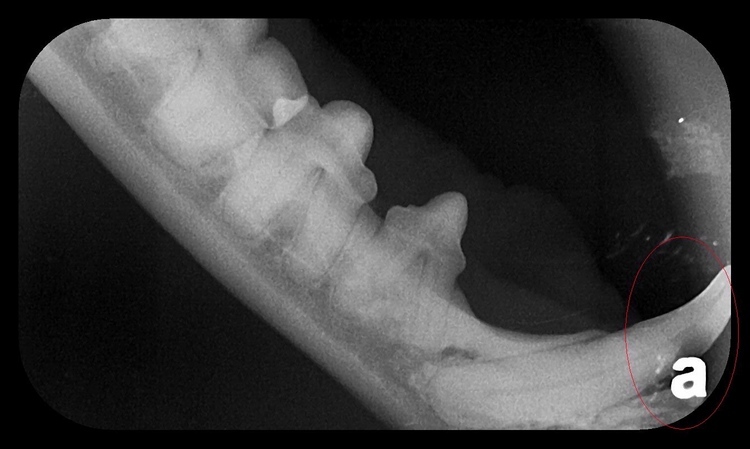 Lower canines (#304/404) severe lingual attrition (wearing defect) caused by the abnormal relationship of the upper and lower incisal arch. 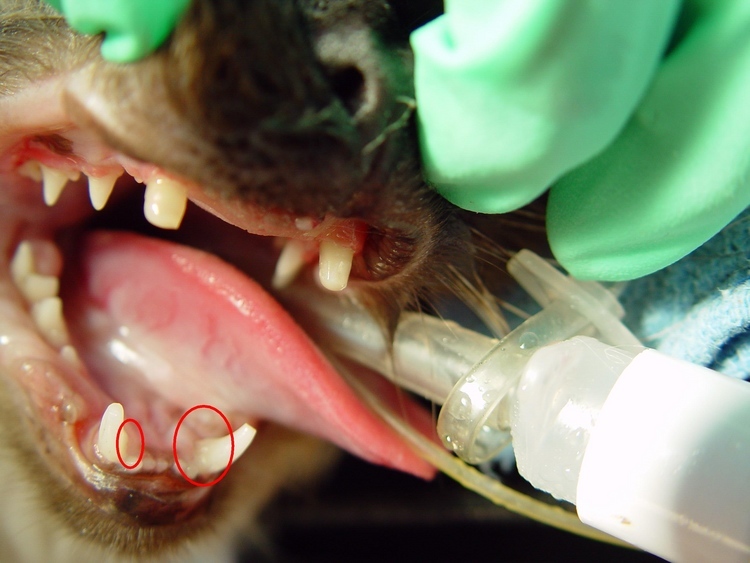 "Catch Lip" trauma to the lower left frenulum caused by the fractured canine (#204) and underbite. Our treatment plan consisted of assessment, lab evaluation and repair. 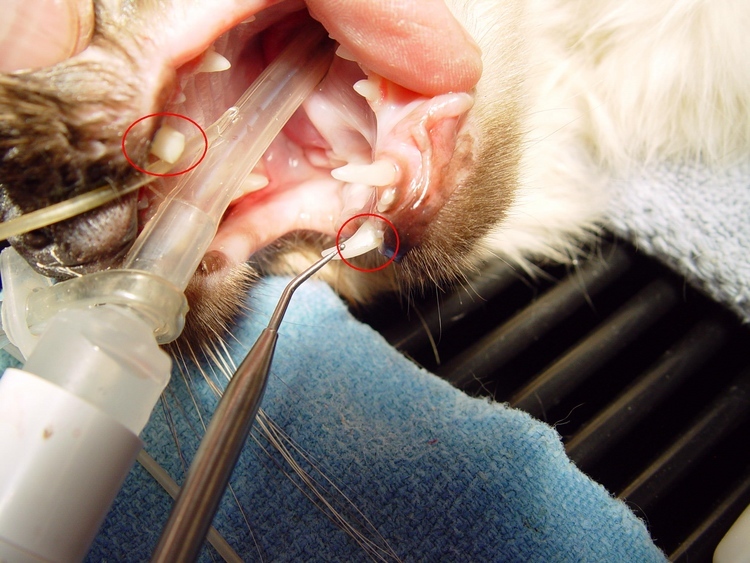 Selective extractions of the upper lateral incisors that were causing the deep wearing defects of the lower canines. 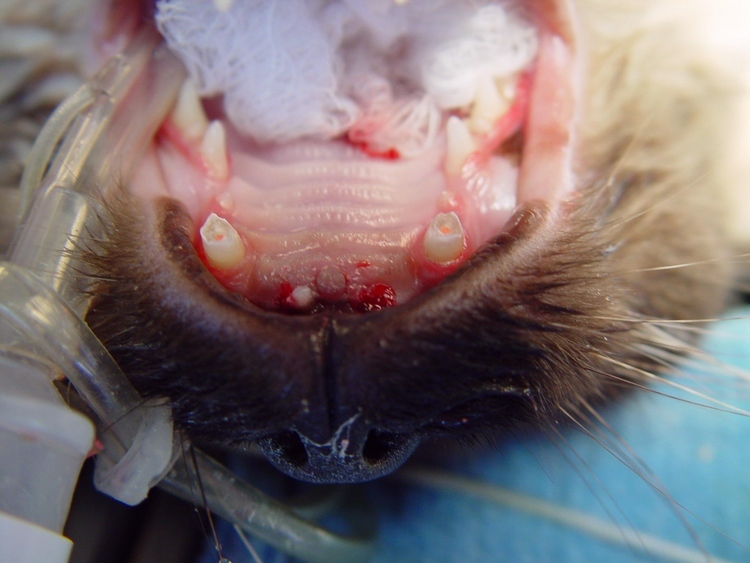 The upper canines (#104/204) were treated with crown reductions and root canal therapy (RCT). 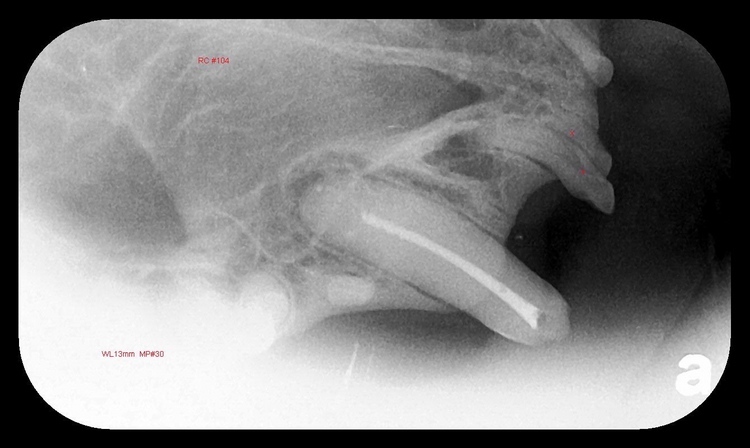 The procedure will save the teeth and prevent the trauma of surgical extractions. 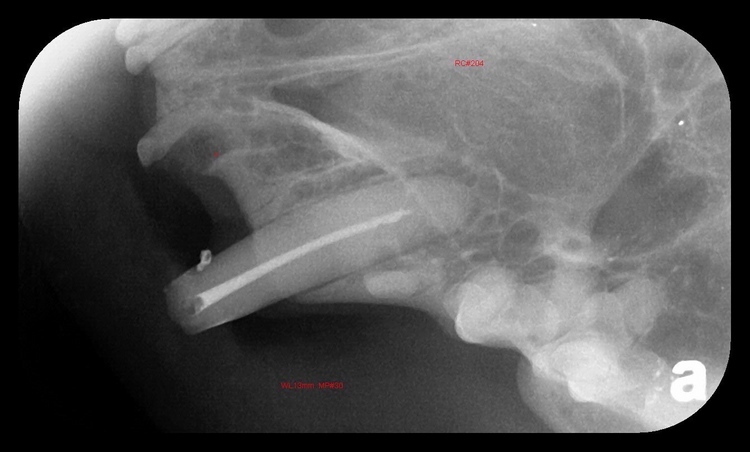 RCT is less invasive and creates minimal discomfort as compared to the removal of both permanent teeth. 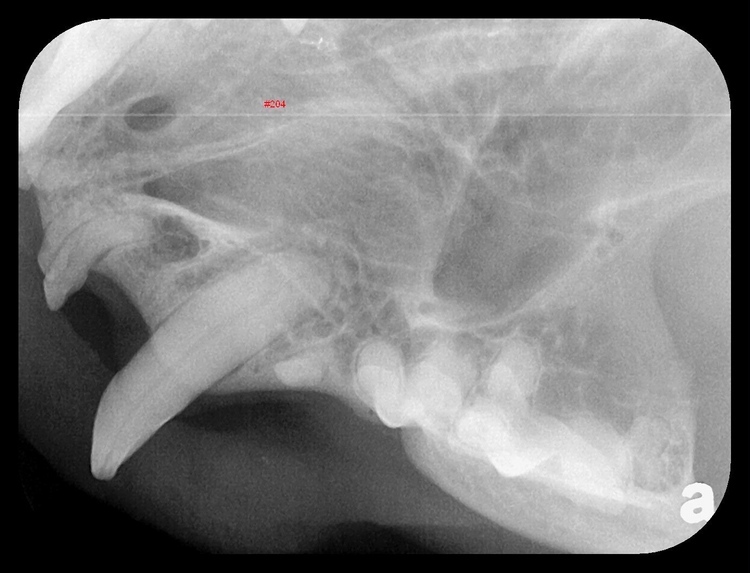 The lower canines (#304/404) had no endodontic or resorptive issues, so a special filling material, Glass Ionomer (GI), was used to restore each defect.